As spring approaches and mornings and evenings are slowly getting lighter, you may start thinking about booking that 2016 holiday to Turkey. 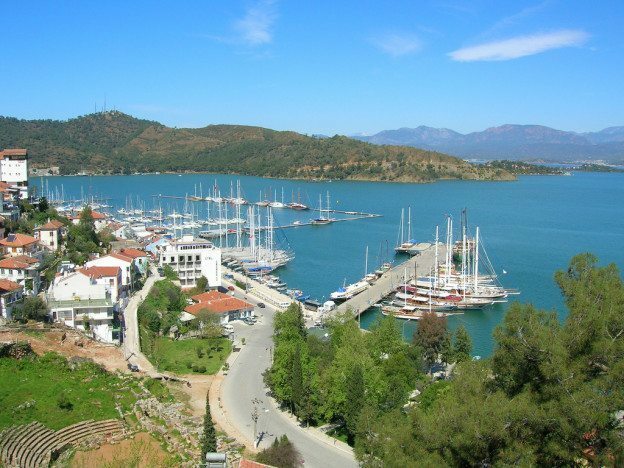 With so many things to see in the Mugla region of Turkey it is no wonder people have been coming back year after year to soak up the culture and sunshine. History, culture and sunshine all go hand in hand here. Situated in the Mulga Province in Turkey, Fethiye boasts some of the most beautiful beaches in the world where you can take a dip in the Aegen Sea to cool off from the soaring summer temperatures. If you feel like having a break from soaking up the sun, experience some of the local history by visiting the breath-taking ruins of traditional Turkish village life. However you end up spending your time, you’re guaranteed to receive a warm welcome from local residents, and Orka Homes has the perfect place for you to stay! Visiting Turkey in 2016 and keen to not come across as a completely confused tourist? The lifestyle in European countries often differs variously from the UK’s, so here are a few pointers and tips that will allow you to fully immerse yourself in the Turkish lifestyle, keeping you completely street savvy on your travels! Turkey is a diverse mix of the Eastern and Western world, with areas such as Istanbul full of fine dining and glamour contrasted by bustling market places where the traditional Turkish roots come to life. Bartering is widely accepted when buying in markets. Assume that when something does not have a price on it, the owner is open to negotiation, otherwise you will be offered only over the top prices. When bartering your way through the stalls, remember that gold is a prime investment as it is often extremely cheaper than buying in Western countries. When dining out, the local drink ‘Raki’ should accompany your meal if you wish to experience local Turkish life. This is an alcoholic aperitif made from grapes, and although strong will compliment the local cuisine and enhance your taste of the culture. After the meal, definitely try some Turkish coffee as it is a national drink, and when offered is a sign of hospitality, so it is polite to accept. If you’re interested in trying out Turkish cuisine at all times of the day, start off with some Menemen for breakfast – scrambled eggs infused with sautéed vegetables served with bread. Then pick up some street food in the form of Lahmucan for a light lunch, a flat bread topped with minced meat, salad and lemon juice, perfect when you’re on-the-go. Then in the evening, choose from an array of traditional dishes, from a selection of ‘Meze’, delicious Kofte meatballs or their worldwide renowned kebabs. Capital: Ankarra – nope, not Istanbul!